Our board represents leaders in the gay and lesbian tourism industry and from all over the world. If you are interested in how our board operates or want more information about becoming a board member, please email info@igltafoundation.org. Click here to review the IGLTA Foundation ByLaws. Click here to review the Board of Directors meeting notes. Since 2014 Reginald Charlot has served as Vice President, Tourism Development, Europe at NYC & Company, New York City's official destination marketing organization. Charlot is responsible for developing and managing travel trade activity throughout Europe including the United Kingdom, France, Germany, Switzerland, Austria, Italy, Ireland, the Netherlands, Belgium and the Nordics. Prior to joining NYC & Company in 2008, he worked in sales and marketing positions for Thai Airways, SHOOT Magazine and Air France. He holds a Master of Science in Tourism and Travel Management degree from New York University. Pamela Herr is currently Event Director of Aspen Gay Ski Week, holding this position since 2007. ASGW is one of the longest-running premier winter sports destination events for the LGBTQ+ community, celebrating 40 years in 2017. Pamela is responsible for all aspects of event design, marketing, recruiting, business oversight, event operations, contracts and more. She oversees a part-time staff of 4 core members and 40 volunteers and works directly with the AspenOut Board of Directors, the NPO that owns Aspen Gay Ski Week. She also travels with Aspen Gay Ski Week in over 20 destinations globally in partnerships with other NPOs and CVBs to promote the destination and event. After moving to Aspen, Colorado in 1994 she worked in various aspects of hospitality at the holiday destination. In the late nineties she started working for the John Morgridge family, founders of Cisco Systems and entered the world of non-profits. She worked for them in both Aspen and Orlando, Florida for 10 years and learned all aspects of grant making, development and programming. With that experience she then moved on to become the Foundation Director for the Given Institute of the University of Colorado School of Medicine in Aspen, Colorado in 2004. In 2008 when the financial crisis hit, she resigned from the Given Institute and started her own consulting business doing strategic planning and business development for struggling non-profits. That work continues on, today however, sh is mainly focused on growing Aspen Gay Ski Week and expanding the brand and helping to create other destination LGBTQ+ events both in Aspen and around the country. Tanya Churchmuch is the founder of MuchPR, a New York-based PR firm specializing in tourism, hospitality and LGBTQ+ markets. Prior to launching MuchPR, Tanya lived in Montreal, Canada and worked for Tourisme Montreal overseeing their international Media Relations and Leisure Markets, as well as their LGBTQ+ outreach. She was also the founder of the (former) lesbian travel website Girlports.com. Tanya served on the Board of Directors of the International Gay and Lesbian Travel Association (IGLTA) from 2009-2016, including three years as Board Chair. She is also a Director on the IGLTA Foundation Board. An expert in lesbian and LGBTQ+ travel, Tanya has spoken at numerous travel industry conferences and written travel articles for LGBTQ+ and mainstream publications. Prior to working in the travel media world, Tanya was a television journalist and news anchor in Montreal, Canada. Donald Richardson is chief financial officer for Brand USA, the public-private partnership responsible for launching the United States' first-ever nationally coordinated tourism marketing effort. In this critical leadership role, Don is responsible for developing and leading the financial strategy for the organization in a way that is responsive to Brand USA's key stakeholders, ensures compliance with policies and operating controls, and enables the organization to make strategic decisions and accurately measure performance and return on invenstment of its core initiatives. 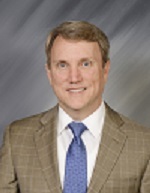 With over 30 years of professional experience in accounting, financial management, automated systems and information technology trends, Don has demonstrated technical, management, and programmatic capabilities in all facets of business process engineering, organizational design, strategic planning and systems implementations. Before joining Brand USA on May 1, 2012, Don was senior principal and managing director for an independent consulting firm and led the Business Systems Practice for Bazilio Cobb Associates. He currently serves on the boards of the DC Public Library Foundation, the YMCA of Metropolitan Washington, the District of Columbia Urban Leagues Finance Committee, and the Shiloh Baptist Church. A certified public accountant (CPA), Don earned his Bachelor of Arts degree in accounting from Appalachian State University. Theresa Belpulsi is Vice President of Tourism for Destination DC. DDC is the capital city’s primary marketing organization and is responsible for the economic health of a $9 billion hospitality industry employing 270,000 individuals in the region. Theresa oversees tourism marketing and sales for the domestic and international markets as well as visitor’s services. Prior to her 12 year tenure at Destination DC, Belpulsi served as Assistant Director of Tourism of the Fort Lauderdale Convention & Visitors Bureau. She was responsible for all domestic leisure sales as well as special events to the city. Currently, Theresa is Vice President of the Board to the regional tourism marketing cooperation, Capital Region USA, Inc. (CRUSA). Additionally, she also sits on the board for a number of tourism organizations including National Cherry Blossom Festival and Cultural Tourism DC. Theresa participates in various arts & cultural tourism activities within Washington, DC and the Region. She chairs the Governance committee for the IGLTA Foundation. Eddie serves as Director of Convention Sales Washington DC Area at Visit Salt Lake. Eddie is responsible for selling Salt Lake, as a destination, to markets in DC, Maryland, and Virginia. He represents a 679,000 square foot convention center, over 7,000 hotel rooms in the convention district, 17,000 hotel rooms destination-wide, and 4 ski resorts in the Salt Lake area. He handles all markets, both vertically and horizontally. He has been employed by Visit Salt Lake for eight years, and was awarded the Dianne Nelson Binger Sales Leadership Award for 2014. Canaday holds a Bachelor of Science degree in Travel Industry Management with a concentration in Tourism Planning and Promotion. He also holds two certifications: Certified Hospitality Sales Professional through the American Hotel and Lodging Association, and Certified Hospitality Marketing Executive through Hospitality Sales and Marketing Association International. Canaday has been a member of IGLTA for five years. He is also a member of the American Society of Association Executives, Meeting Professionals International, Professional Convention Management Association, and CVBReps Washington, DC. Rika Jean-François holds a Master Degree in Social Anthropology and Iranian Studies with an expertise on ethnic identities, sustainable development and diversity issues from the Free University of Berlin. She started to work and become fond of tourism as a tour guide in Greece, while studying at the University of Crete and as an incoming agent in Athens. Coming back to Germany she became counselor at the University’s International Academic Exchange Office and travelled as a researcher to Iran, Malawi and Haiti. Ms. Jean-François obtained an additional qualification in Quality Management, working on the evaluation of development aid workers' education for the German Development Service. Since 2004 she has been with Messe Berlin and vitally developed ITB’s Corporate Social Responsibility. As ITB’s head of CSR she is a passionate speaker at sustainable tourism events internationally. It is her aim to help to bring sustainable tourism standards into mainstream tourism. She has also spearheaded ITB’s implementation of the LGBTQ+ travel segment and became board member of IGLTA (International Gay&Lesbian Travel Association) as well as of the IGLTA Foundation. She is a jury member of international responsible tourism contests like the ITB National Geographic World Legacy Awards, the TO DO! Awards and the Toura d’Or Film Contest for Sustainable Tourism and is member of the PATA (Pacific Asian Travel Association) Sustainability Committee. At ITB, she is also responsible for South Asia (with emphasis on India) and the Pacific region, and is chief coordinator of ITB’s Partner Country program. Tom Kiely brings years of experience to Visit West Hollywood promoting destinations travelers love, and West Hollywood is no exception. A 1986 graduate of the University of Nevada, Las Vegas in Hotel Administration, Tom has experience in hotel management in Las Vegas and Dubai, but his major experience is in the destination and theme park industries, with 11 years at Walt Disney Parks & Resorts, six years at Universal Studios Hollywood, an six years at the San Francisco Travel Association, the marketing organization for the city of San Francisco. In October 2016, Tom inherited a talented team of marketing, sales and public relations staff at Visit West Hollywood, and along with brand consultants, they are in the midst of unveiling a new marketing direction for the city, complemented by digital advertising and promotional campaigns. Visit WeHo's new website, booking engine, and rich storytelling helps travelers imagine themselves surrounded by the sunny, welcoming atmosphere of West Hollywood, with lots of options to enjoy the hedonistic and healthy activity options. Tom's vision as the new CEO of Visit West Hollywood is to continue to grow West Hollywood as the vibrant, well-loved destination with the Los Angeles area, supporting hotel growth and sustained occupancy, and its many reasons to stay a few nights longer to take in the 1.9 square miles of pleasure the city has to offer. Jim McMichael is the Specialty Markets Manager for the Las Vegas Convention & Visitor Authority (LVCVA), handling the LGBTQ+ market, international meeting, incentives, conferences and exhibition groups from Brazil and Mexico as well as cultural tourism programming. Prior to joining the LVCVA, Mr. McMichael spent 18 years in the shopping center industry with the Rouse Company and General Growth Properties in Various marketing positions in South Florida and Las Vegas, and most recently as the Senior Marketing Manager at Fashion Show Mall. Mr. McMichael also spent several years in the travel industry holding positions at Windstar Cruises, Holland America Line and Costa Cruises. His tourism background provides a unique foundation to help develop creative ways to market a destination, attraction orshopping center to reach key target markets. A graduate of the University of Georgia, Mr. McMichael has a minor in Spanish and Portuguese, and studied abroad at the University of Paris (the Sorbonne). Mr. McMichael serves on the Advisory Board for the Academy of Hospitality & Tourism at Valley High School and works with various community groups throughout the Las Vegas Valley including Las Vegas Pride and the Nevada Gay Rodeo Association. Gary Murakami is the Director, Global Sales for MGM Resorts International, one of the world’s leading global hospitality and entertainment companies operating a portfolio of destination resort brands including Bellagio, MGM Grand, Mandalay Bay, Aria at City Center, and The Mirage in Las Vegas, NV with additional hotels in Las Vegas as well as regional United States and in Asia. A seasoned hospitality sales executive and innovative strategic leader with expertise in the hotel and convention management industries, Gary is responsible for raising awareness for MGM Resorts International, as well as developing and maintaining key client partnerships in his assigned strategic territories with the corporate, association, and intermediary/third party segments and the additional focus on Diversity Sales specific to the LGBTQ+ market. Gary’s sales background includes previous sales and leadership positions with The Ritz-Carlton Hotel Company, Hyatt Hotels & Resorts, and Four Seasons Hotels & Resorts in the group, leisure and business travel segments. Gary holds several industry-recognized certifications and designations. He most recently earned his Global Travel Professional (GTP) certification by the Global Business Travel Association (GBTA) in 2012, as well as his Certified Meeting Professional (CMP) designation from the Convention Industry Council (CIC) in 2011. Gary also earned his Global Leadership Professional (GLP) designation and certification in 2008 from GBTA. An active member in the global meetings, events and travel industry community, Gary has held a variety of leadership director and committee roles with several industry associations both locally and nationally. Locally, he is serving on the board for the Bay Area Business Travel Association (BABTA), a chapter of the Global Business Travel Association (GBTA) for more than a decade including three years as the Chapter President. He currently serves on the 2015-2016 board of directors of Meeting Professionals International (MPI) Northern California Chapter as the Vice President, Membership serving his third year on this local chapter board. Gary is also Past President for the Professional Convention and Management Association (PCMA) with its Northern California Chapter after serving a term as President in 2014 in addition to a variety of other previous board roles. Gary remains active with his industry association affiliations nationally by volunteering his time on various committees. He currently sits on the GBTA Meetings Committee and has recently been invited as a new Committee Member for the MPI Chapter & Membership Advisory Council (CMAC). Gary is also the Chair of the 2015 Awards & Recognition Committee for PCMA. He is also a member of the APEX Standards Committee for the Convention Industry Council and serves on the board for the International Gay & Lesbian Travel Association (IGLTA) Foundation. Tom is the Vice President for Finance and Operations for th Arcus Foundation. The Arcus Foundation is theleading global organization dedicated to the idea that people can live in harmony with one another and the natural world. We work with experts and advocates for change to ensure that LGBTQ+ people and our fellow apes thrive in a world where social and environmental justice are a reality. Prior to joining Arcus, Tom was Chief Financial Officer and Vice President for Finance and Administration at the Heinz Center in Washington, DC, where he led a team comprised of financial management, grants management, human resources, information technology, and administration. Before that, served as Chief Financial Officer as the African Wildlife Foundation and, earlier, at the World Wildlife Fund. A Certified Public Accountant, Thomas earned a bachelor's degree in business administration at Virginia Polytechnic Institute and State University in Blacksburg, Virginia. In addition to the IGLTA Foundation, he serves on the Boards of VBO-Ohio, Sitar Arts Center, and The Peter Fox Project, of which he is a founding member. Scott Seed is currently Director of Brand Management for Universal Orlando Resort in Orlando, FL. In this role, Scott is responsible for developing strategies that drive demand to Universal Orlando from the United States and Canada. Scott is also an active steering committee member of Out at Universal Employee Resource Group. Previously, Scott held various positions within marketing at Hyatt Hotels Corporation in Chicago, IL, where he helped launch Hyatt's first-ever LGBTQ+ campaign. He bagan his career in travel at Southwest Airlines in Dallas, TX. Phil Sheldon is the owner of HE Travel, which merges the worlds of gay travel pioneers Hanns Ebensten Travel, Alyson Adventures and OutWest Global Adventures. With roots going back to Hanns Ebensten's first gay tour in 1973, the company has operated tours in over 100 countries. Today's tour calendar includes destinations on all 7 continents, ranging from countries that have embraced gay marriage in North America and Europe, to countries where we quietly support a local gay population that still needs to maintain a high degree of discretion. Prior to his 15 years running a tour company, Phil was IBM's Product Manager for Chinese Language PCs for two years, living in Tokyo. He is a 15-year member of National Tour Association (NTA), including seven years as invited member of the NTA Leadership Team and spent two years as Chairman of the NTA China Inbound Task Force - delegated by the US and Chinese governments to set standards for US-based travel companies requesting the right to host Chinese tour groups. He is also a 16-year member of the Key West Business Guild, the country's oldest LGBTQ+ community "chamber of commerce". Carmen has held the position of Senior Sales Manager for Disney Destinations and the Walt Disney World Resort since 2006, in Orlando, FL. In this role, she is responsible for developing the Diversity, West Coast, and Canadian Corporate & Association markets in the meetings, conventions and incentive industry. In addition, she is a member of the Walt Disney World Resort PRIDE Diversity Resource Group Leadership Team. Prior to joining Disney, she was a National Sales Manager for the Buena Vista Palace Resort and as a life-long Orlando, FL resident, she has worked within the hospitality/hotel industry for over 27 years. John Tanzella is the President/CEO of the International Gay and Lesbian Travel Association. Founded in 1983 with 25 members, IGLTA has grown into the leading global organization dedicated to LGBTQ+ tourism. Since his arrival in 2005, IGLTA membership has increased to more than 75 countries. Prior to joining IGLTA, Tanzella has worked for Delta Air Lines, the Washington D.C. Convention Bureau, and the Human Rights Campaign. He was born in Massachusetts, attended the University of Georgia, lived for three years in Italy and now resides in South Florida. In addition to serving on both the IGLTA Board and the IGLTA Foundation Board, he also serves on two other boards: the National Stonewall Museum & Archives Board and the Advisory Board for Atout-France (the National Tourism Office of France).